* The sixth volume in the Sunday Morning series, this book contains music for times of celebration, times of sorrow, and times of sacrament. 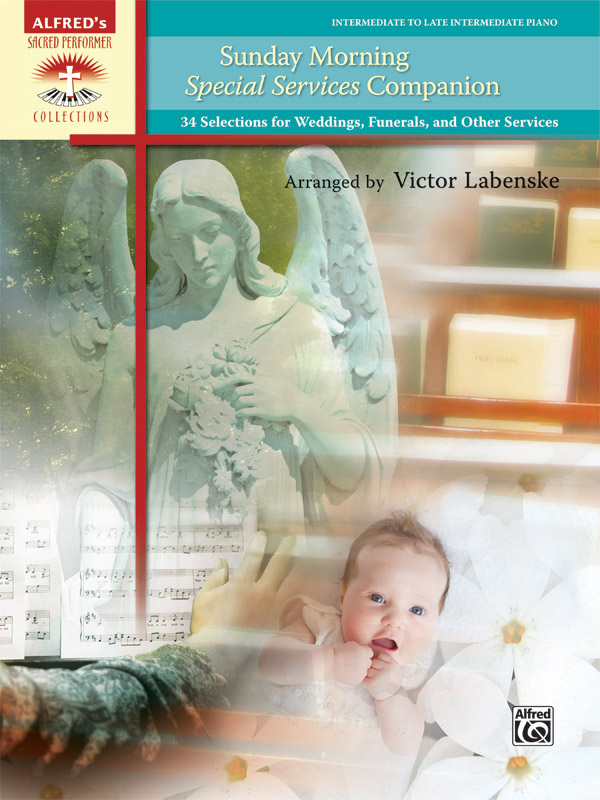 * Over a third of the arrangements are for weddings, another large portion is devoted to music for memorial services and funerals, and the remaining selections are appropriate for communion and baptism services. * Titles: Abide with Me, Ave Maria (Bach-Gounod), Ave Maria (Schubert), Beneath the Cross of Jesus, Bridal Chorus from "Lohengrin" (Contemporary), Bridal Chorus from "Lohengrin" (Traditional), Canon in D, Day by Day, Down By the Riverside, Give Me Jesus, He Hideth My Soul, Home Across the River Medley, If Thou Art Near (Bist du bei mir), In the Cross of Christ I Glory, In the Garden, Incidental Interludes, Jesu, Joy of Man's Desiring, Jesus, I My Cross Have Taken, Largo from "Xerxes", Let's Go Down to the River to Pray, Let Us Break Bread Together, O Happy Day, O Love That Will Not Let Me Go, O mio babbino caro, On Jordan's Stormy Banks, Prince of Denmark's March, Rock of Ages, Shall We Gather at the River, There Is a Balm in Gilead, Trumpet Tune, We Shall Walk Through the Valley in Peace, Wedding March from "A Midsummer Night's Dream" (Contemporary), Wedding March from "A Midsummer Night's Dream" (Traditional), When the Roll Is Called Up Yonder.